Stoneware lamps with t in circle mark? Does anyone recognise this mark? Not sure if the lamps are mid century or not, but they do have that look to them. 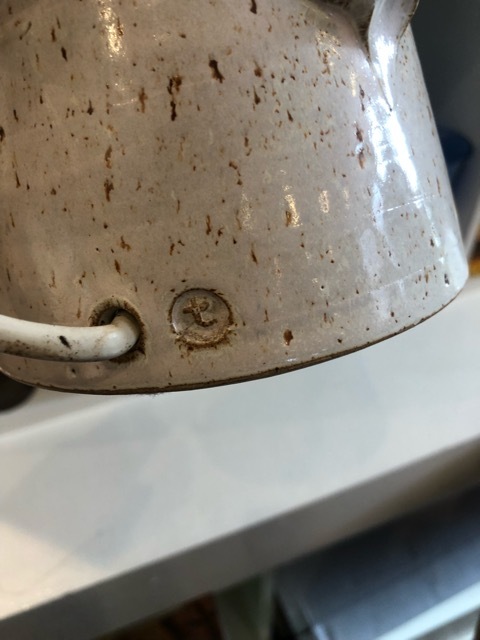 Re: Stoneware lamps with t in circle mark? Elifaz, Hi can you please try to post some images of the whole lamp. I’ve reloaded the photo. Do you have one of the whole lamp, Elisa?